Anyway… Last month I visited Jamie Oliver’s fancy Barbecoa steakhouse in St. Paul’s, London, for a lavish night out with the family and the short version of our experience is: it’s a very nicely decorated restaurant, has excellent customer service and serves dinner with a view alongside St. Paul’s Cathedral — one of London’s iconic landmarks. The food was generally good, but it wasn’t without its caveats. Who doesn’t enjoy having a lovely meal with a view? 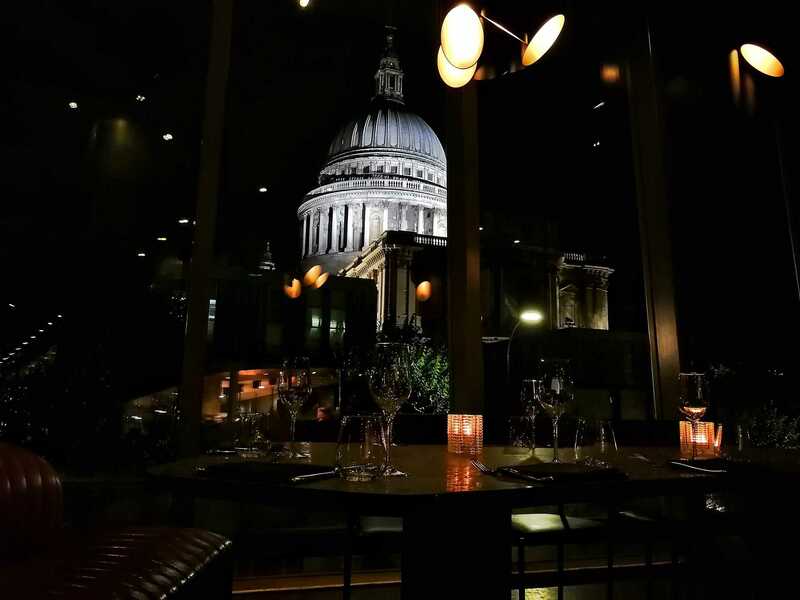 If you get seats like ours at Jamie Oliver’s Barbecoa steakhouse, you’ll be enjoying your food with a side view of St. Paul’s cathedral in all its glory. It’s really not a bad way to dine! The decor feels very modern and the dim lighting gives Barbecoa that typical cocktail bar/steakhouse vibe. Barbecoa’s seating arrangement with large (and comfortable) banquettes makes it great for large parties, but there are plenty of tables & chairs for couples to enjoy a romantic night out, too. 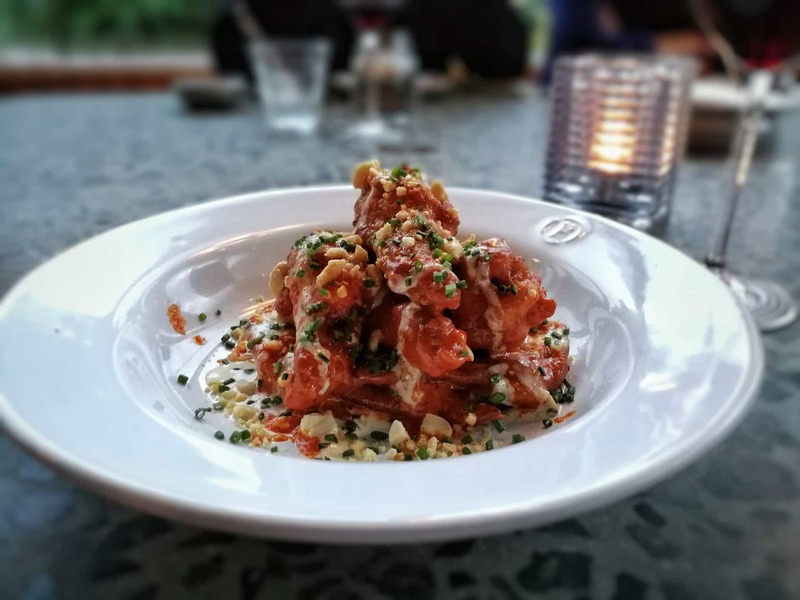 To start off the night we ordered a bottle of Argentinian Malbec, my favourite red wine, and a couple of portions of chicken wings to share. These bad boys were covered in hot sauce, with a drizzle of blue cheese sauce and topped with peanuts and chives. I wasn’t sure what to expect at first, but let’s just say the bowls went back with clean bones. They were very, very flavoursome. 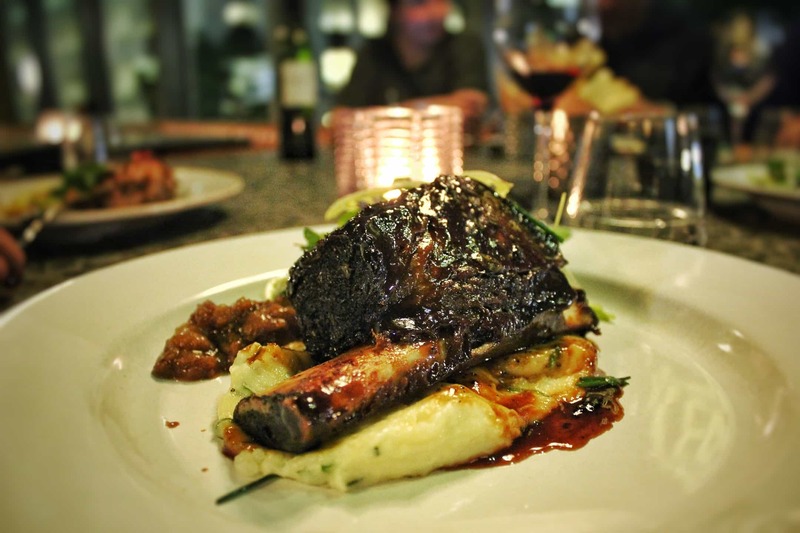 Moving onto the mains, we ordered a variety of dishes to try including the Chateaubriand with truffle butter, a rib-eye steak with summer herbs, pit beef and the jerk-spiced “Creedy Carver” chicken. This is where things go 50/50. Mum’s rib-eye steak was brilliant, and despite the fact that it was cooked medium-well, the meat was incredibly tender and that summer herb sauce coating it was deliciously refreshing. My sister’s pit beef really stood out as well; it was clearly slow cooked so that the strands of meat would just fall off the bone as soon as you poked at it, and the cider glaze gave it this sticky, sweet taste. In contrast, we weren’t so keen on the chicken (it lacked any serious flavour), all our chips tasted under-cooked (even with the second batch we re-ordered) and much to my surprise/disappointment, the Chateaubriand was nowhere as good as I hoped. What was seemingly the premium dish at £75 turned out to be our least favourite on the night. I’ve eaten Chateaubriand in the past but this one was simply bland, boring and it even lacked the soft, tender texture I expected. Fortunately, our waiter was awesome and made no fuss about swapping out the Chateaubriand for another rib-eye for dad, and a pit beef for me — so happy faces all around. Leaving aside the fantastic ambience, attentive customer service and lovely location, is Barbecoa the best steakhouse I’ve ever been to? Probably not. 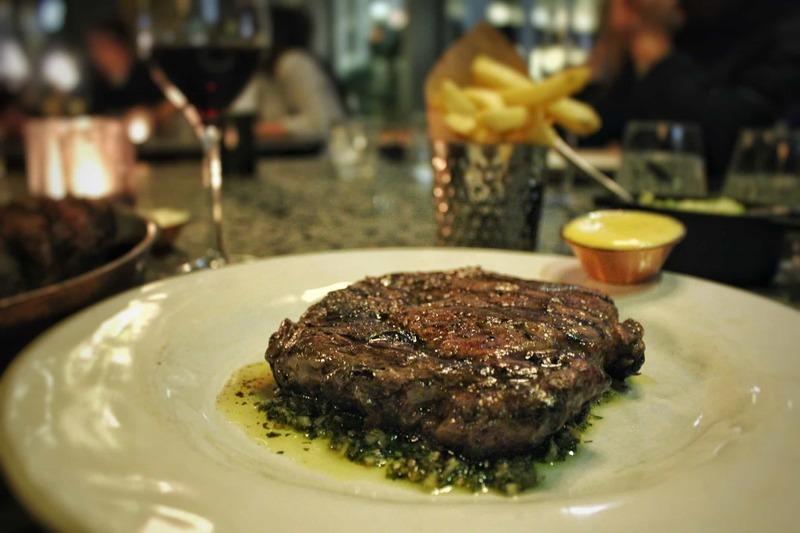 Many of the dishes in Barbecoa come at a premium — I’d even argue overpriced — and I can’t honestly say they’re all worth it: the Chateaubriand is £75, rib-eye is £40 and a portion of chips is £4. I don’t mind paying through the nose if the quality is there, but even the food I liked was just… good. Nothing particularly blew me away. Would I try Barbecoa again? I doubt I’d return purposely for a steak, but it felt like a nice place to enjoy a few bites and drinks with friends.